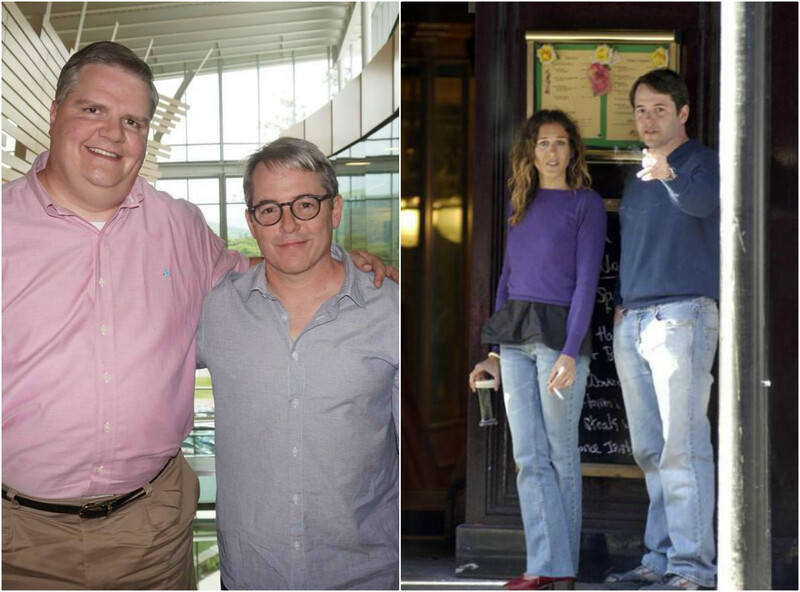 One lucky man in 2009 had a chance meeting with Mathew Broderick. He was excited that he had managed not only to recognize him but was able to get the actor to snap a quick picture with his daughter. As they posed for the picture, one thing was completely off. 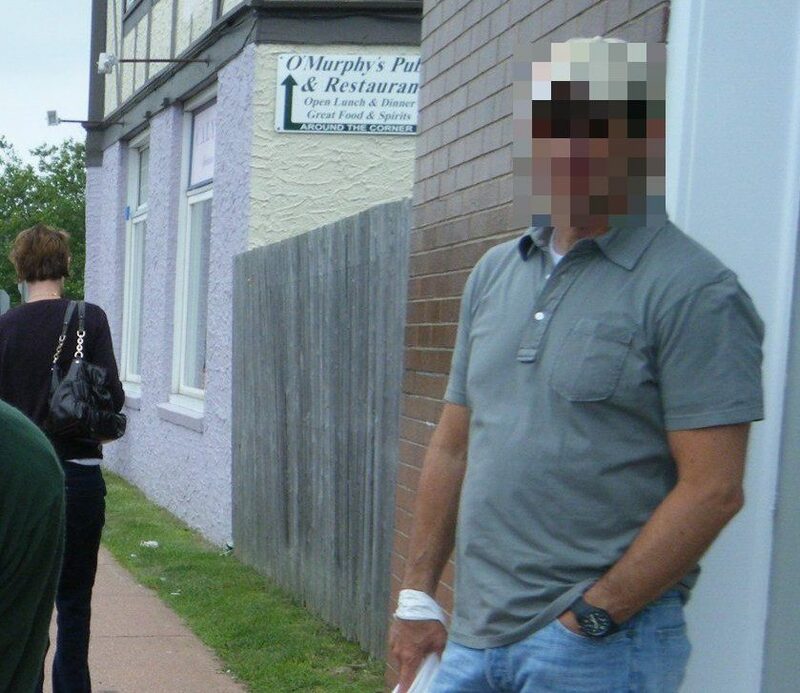 A man with a baseball cap and blue jeans stood definitely within the camera’s frame. The father asked the man to step aside so he could get a better picture, but the man refused and remained in the shot. How he would regret this. Later, when Alex revealed who this man in the background was he was pretty stunned and so was his family. They all had to take a double look. The mystery man who refused to move was an even more famous individual and comedian that Alex hadn’t recognized at all. That fateful event caused the image to go viral as people wanted to know how it all went down. So just who was the photo-bomber who remained in the picture? Of course, when anyone runs into someone famous, the first thing that they want to do is capture the moment. That was the first thing that popped into Alex Cabana’s mind as he spotted Matthew Broderick. Of course, Alex’s daughter was even more star struck and asked Mr. Broderick for a quick picture to commemorate the moment. 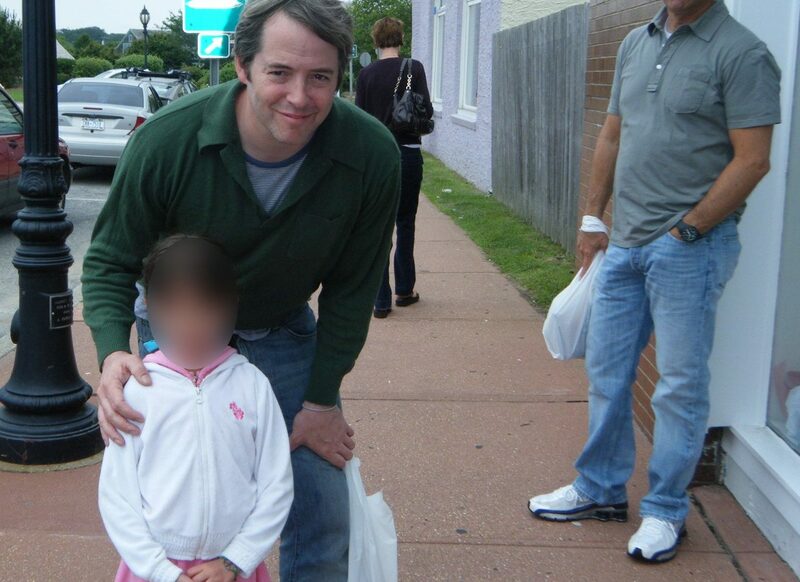 But when others caught sight of the picture with Alex’s daughter, and Matthew Broderick eyes popped. But it wasn’t just because the famous Ferris Bueller was standing next to an adorable little girl, it was of who was lurking in the background. 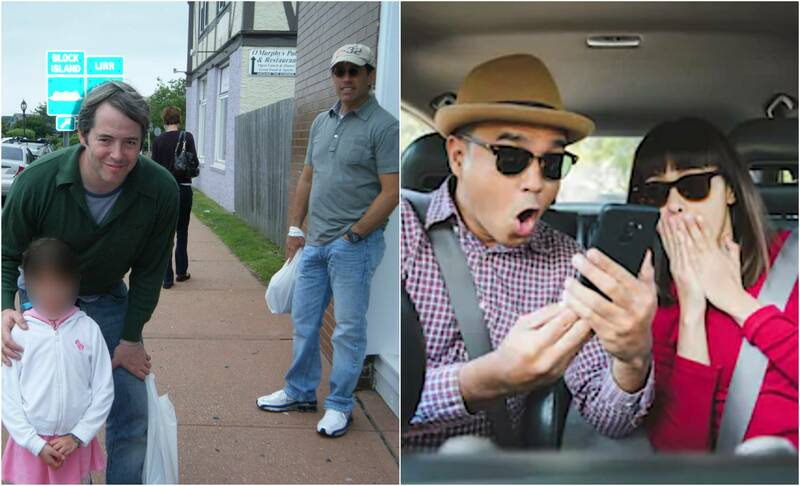 Thousands of fans on Twitter retweeted and commented on the image in shock at who the mystery photo-bomber was. This amazing and unforgettable story took place in 2009 when the family man Alex Cabana decided it was time to escape the city for a while and headed to Montauk; a tiny little town far away from the hustle and bustle of the city located on the southern part of Long Island. 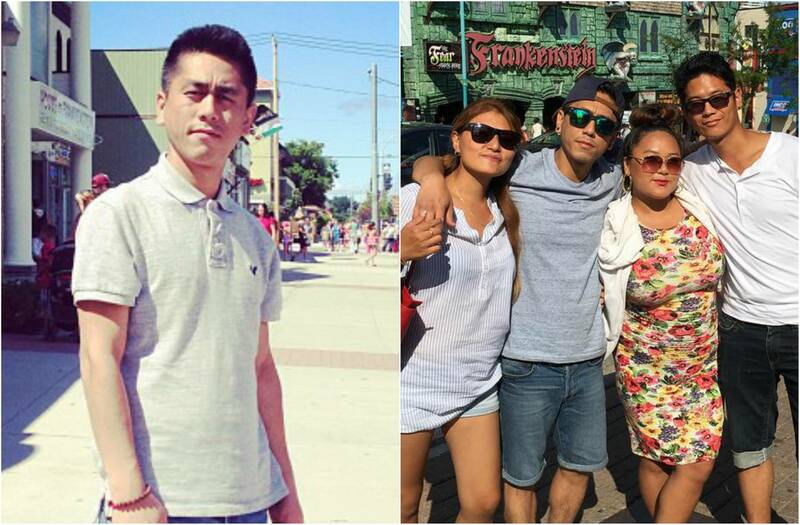 It was the perfect weekend trip to spend some much-needed rest with his family. However, early into the vacation Alex’s daughter, Nicole wasn’t feeling the relaxation. The poor little girl was suffering from an infection in her ear that forced the happy father to take immediate action to soothe his daughter pain so his family could continue on their trip. But when you’re on vacation, you don’t foresee illnesses and don’t usually pack for them which is why Alex had to take a slight detour that would soon change his life. 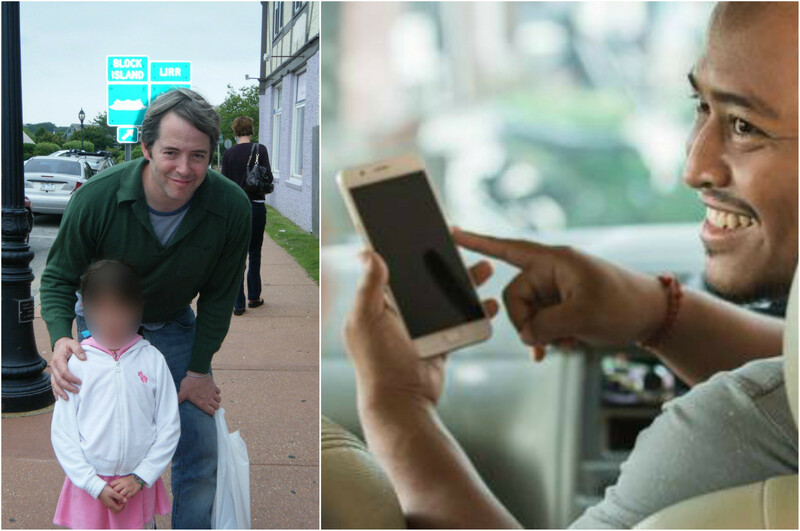 Luckily for Alex, he was able to rush to the nearest pharmacy to pick up medicine for his daughter. But when arriving at the small town pharmacy, the line was longer than he anticipated. But, like a good father, he waited his turn in line while in the back of his mind; he wondered what was the hold-up? 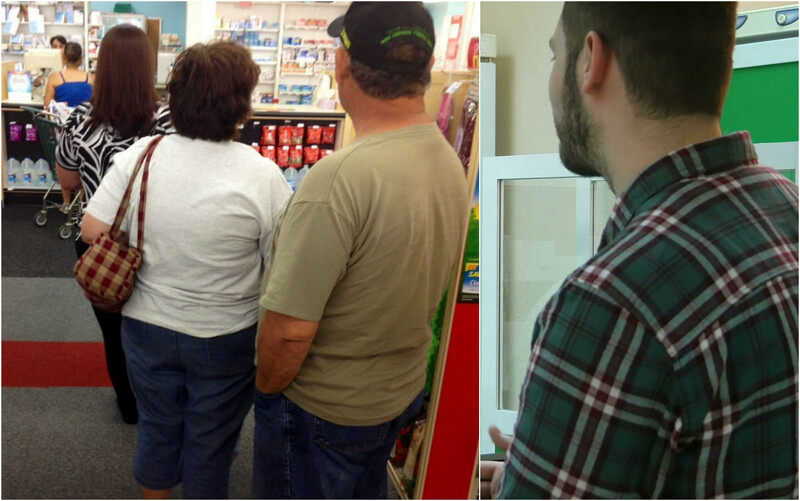 After all, there had to be some reason the line was practically out the door at this little pharmacy. As Alex grew more and more impatient, the man standing in front of him turned and smiled to lighten the mood. 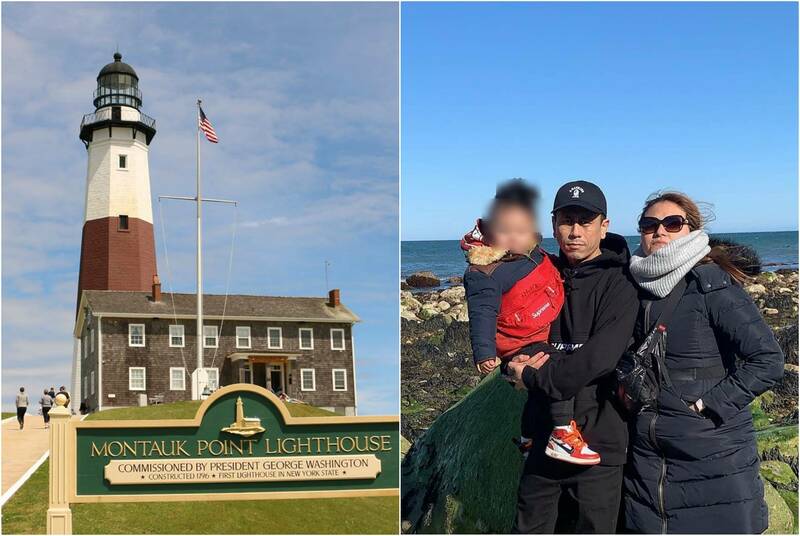 It didn’t take long before the stranger and Alex were making small talk and sharing why they had been drawn to Montauk. But as the conversation drew on and the line slowly moved, a sinking feeling in Alex’s gut caused him to take notice. There was something very familiar about the stranger in front of him, if only he could wrap his head around what it was. Was it his voice? Or his face? Alex’s continued chatting with the man until it was his turn at the front of the line. 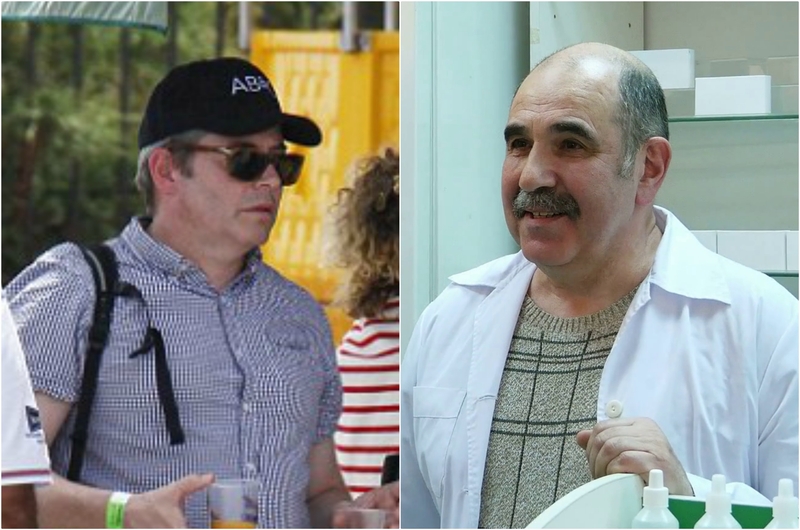 As the line progressed, and it came time for the stranger’s turn to meet up with the pharmacist, the feeling in the pit of Alex’s stomach didn’t go away. It gnawed at him as he tried to place the face. It wasn’t until he got his daughters’ medicine and walked out of the pharmacy did the light bulb flick on. 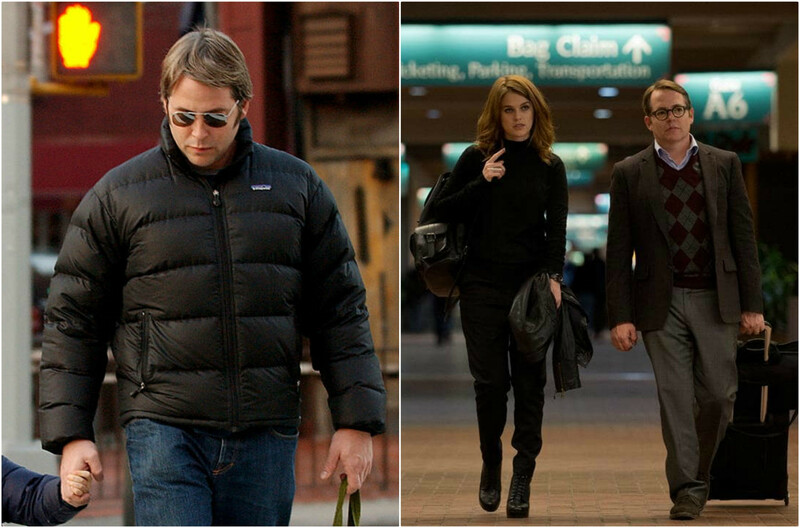 The man Alex had been chatting with so casually in the store was none other than the A-List actor Matthew Broderick! Determined to speak to him again, Alex waited patiently outside the pharmacy hoping to get a second chance with Matthew. As Alex waited for Matthew to come back out of the store to confirm his suspicions, his daughter stared up at him in wonder. After all, she didn’t quite understand what the fuss was about. But Alex had to confirm his suspicions, and to his delight, he was correct. Although Sarah Jessica Parker, Matthew Broderick’s wife was nowhere to be found, Alex spent a good part of his time chatting with Matthew outside the pharmacy overwhelmed by his brush with a celebrity. 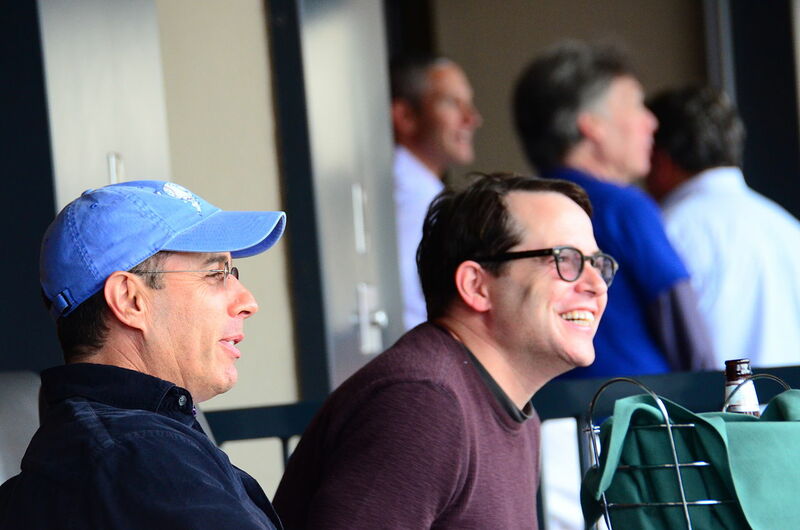 To Alex’s surprise and delight, Matthew Broderick was more than willing to share a few moments with the family man. 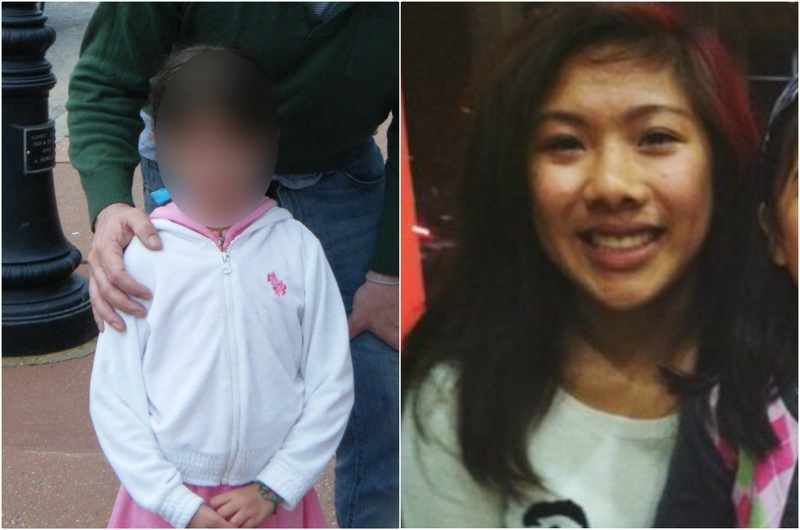 It took nearly ten years for Alex’s story to make it on social media. 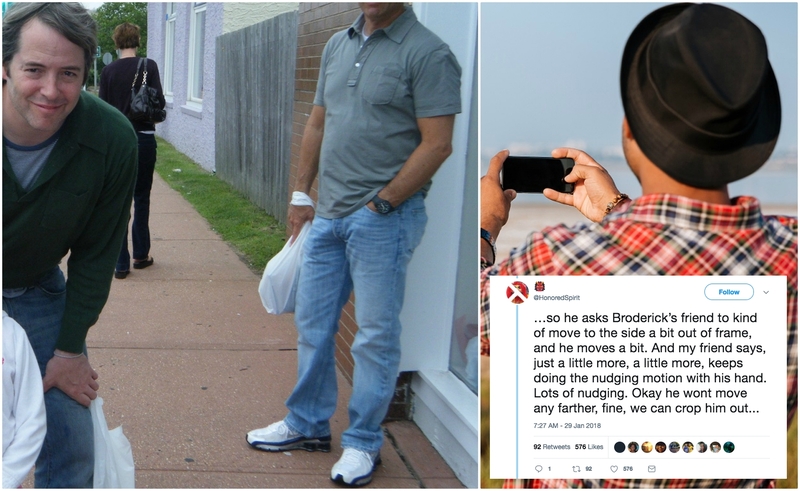 If it weren’t for a close friend of Alex’s posting to twitter, the world would have never realized what a great guy Matthew Broderick is in real life. 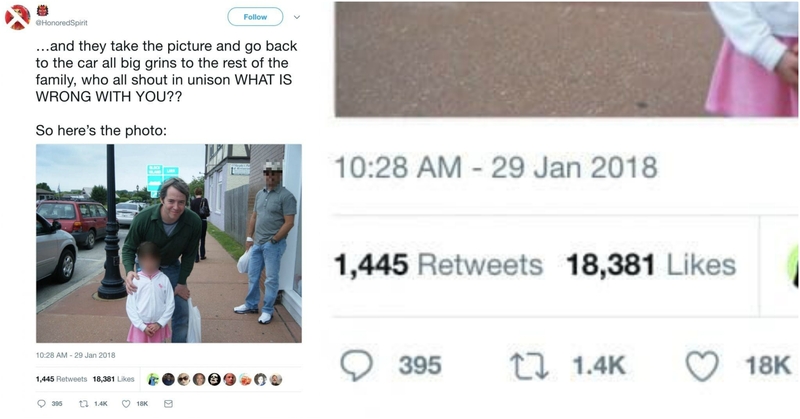 But what got people’s attention wasn’t the 80s movie star from Ferris Bueller’s Day Off, nope- it was the mystery man who photobombed the picture. Over the years, Alex Cabana has shared his close encounter with countless people. After all, the 42-year-old from Queens became the local guy who met Matthew Broderick and got a picture with his daughter Nicole posing with the celebrity. But what all Alex’s friends enjoyed the most Alex’s lack of recognition to the man standing behind Matthew and his daughter Nicole. It took ten years for the image that Alex snapped that day to go viral. With nearly 20,000 people re-tweeting the picture, to articles being written by New York Magazine and even Time, Alex’s daughter relives the moment every day even though she was only seven at the time. It was, after all, a moment that she didn’t get then, but certainly understands today and is thrilled to be a part of something so funny and memorable. In 2009, Nicole was not familiar with the star, nor did she have any recollection of why he was so important. After all, she never grew with the classic movies like Ferris Bueller’s Day Off, but maybe Godzilla might have been something she would have seen. 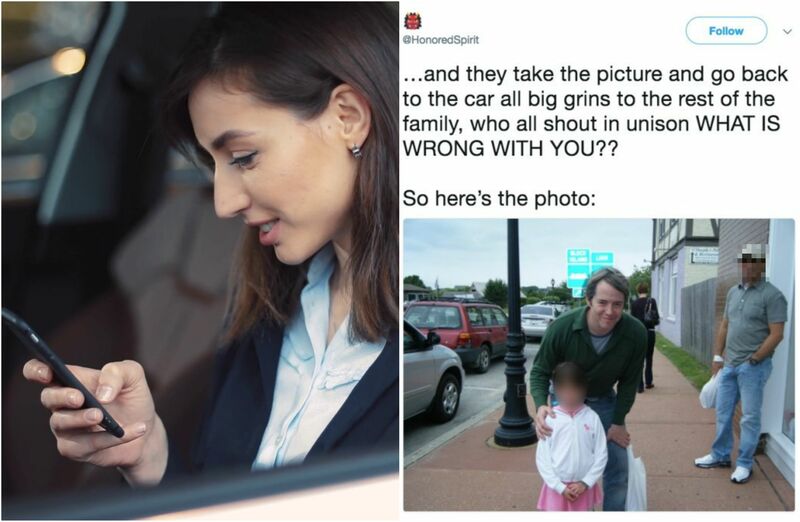 Either way, she had no clue why her father, Alex was freaking out over the encounter, but simply did as her father asked and took a picture with the guy. Years later, though, after the picture went viral, Nicole was stunned and shocked she was ever a part of something so great. 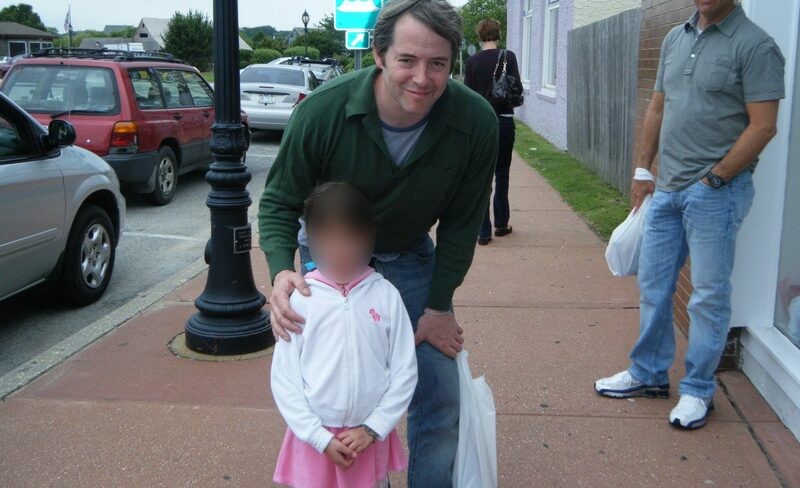 So, in 2009 Alex wanting to commemorate the moment, he asked Matthew Broderick for a quick picture with his daughter. Matthew, being ever the gentleman said yes and stood next to Nicole. After all, life moves fast and if you don’t capture these moments, they will pass you by. So in order to capture his moment, Alex raised his camera to his face with a huge smile to take the shot. Alex tried to get just the right shot. But as he raised the camera to his face to capture the moment, he noticed someone in the background. 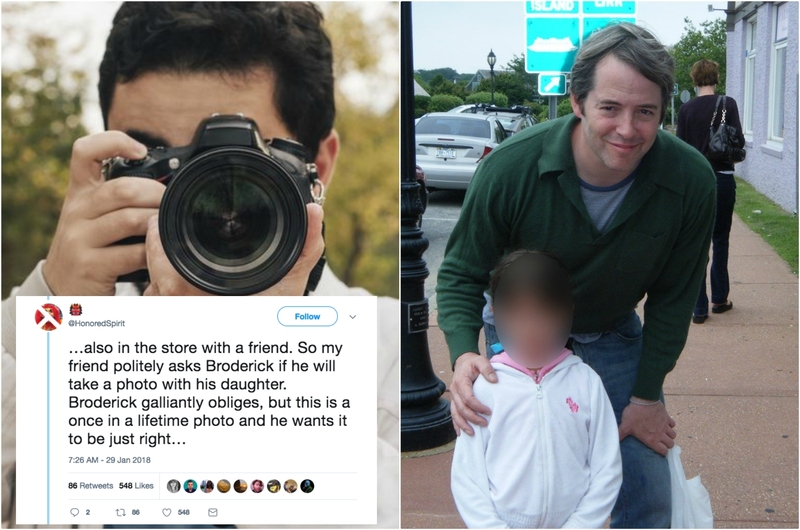 To get the best possible image of his daughter and Matthew Broderick, Alex asked Matthew if he knew the man standing in the background. To Alex’s surprise, Matthew said yes. With Matthew’s friend standing so close, Alex wasn’t able to get a good shot and politely asked the stranger to step aside. The mystery man inched a little out of the shot and stopped. Alex nudged his hand a little bit more hoping the mystery man would get the clue, but still, even with the baby steps, the man remained in the shot forcing Alex to snap the picture with him in it. After everything was said and done, Alex simply thought that he would be able to crop the man out later. There was a reason this picture went viral despite followers a bit confused as to what all the commotion was. The point of the story went over the heads of many people; after all, the guy in the background was just an average ‘joe’ right? There wasn’t anything special about him was there? Oh but there was. And this family would be shaking their heads at their disappointment for not noticing at first. As Alex said his goodbyes to Matthew and his friend, Alex and Nicole headed back to the car where his father and wife waited to continue their family vacation. But as he peeled his eyes from his phone and glanced to his wife, she nodded with a huge grin stretching across her face. As he shook his head in disbelief, Alex swallowed the lump forming in his throat. He finally understood who this person was. How he wished he could go back in time now. Not more than five minutes ago he was pushing the guy out of his picture, and now, all he wanted was to retake the shot so that his daughter could stand beside not one but two famous people. 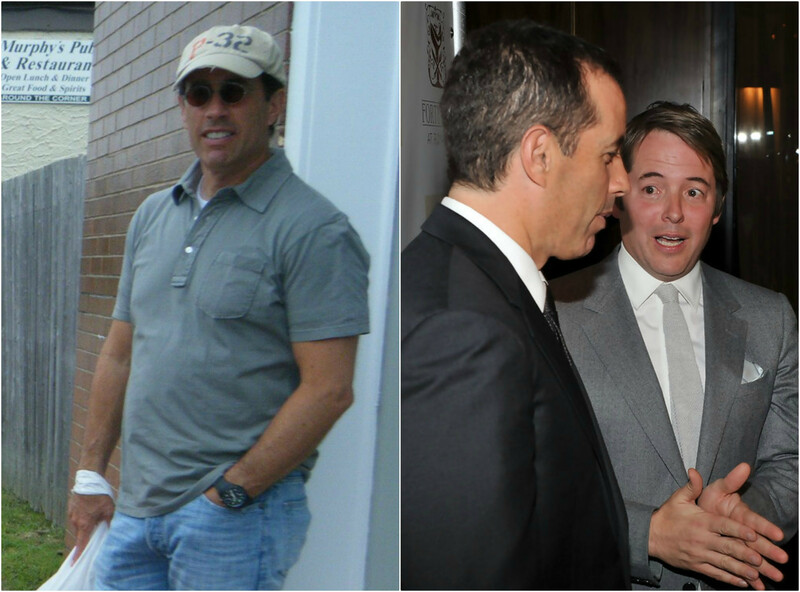 The mystery man who lingered in the background as Alex snapped the picture of Matthew Broderick and his daughter Nicole was none other than Jerry Seinfeld. The man that Alex claimed to have watched every night. 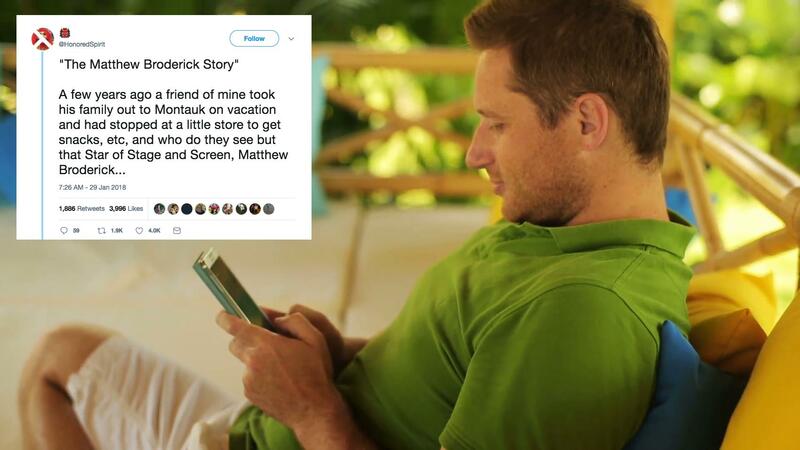 What makes this even more embarrassing is the fact that Alex recognized Matthew before even taking a second glance at Jerry. Of course,rse anyone would make the same mistake with a costume like Jerry’s masking his true identity. 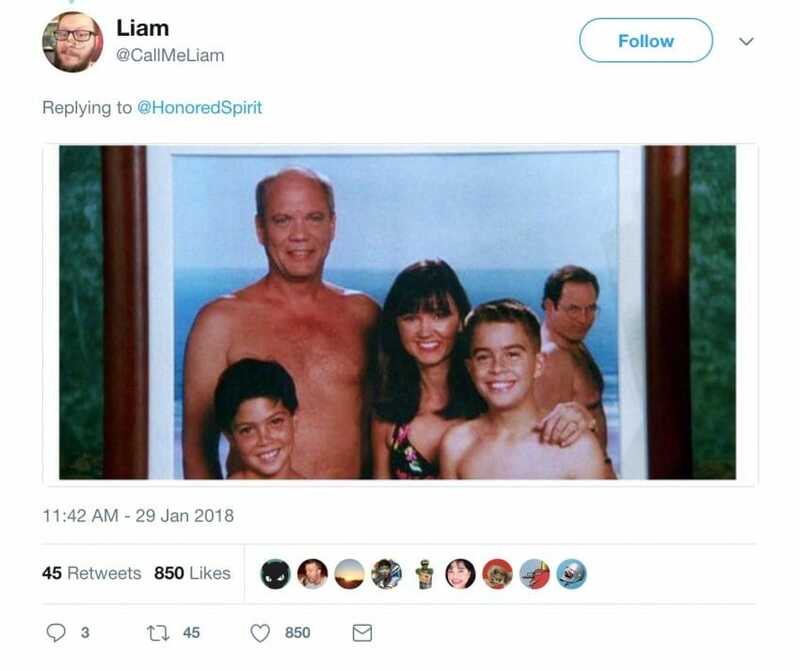 What makes this encounter so unique and quite funny is how it resembles an episode of Seinfeld called “The Slicer.” It was the episode where Jason Alexander’s character steps into his boss’ family portrait taken at the beach and fails miserably to remove his image by airbrushing himself out. Many fans saw this as the first and possibly the most original Photo bomb ever. But on that fateful day, when Alex asked Jerry to step out of the shot, it turns out Matthew did know Jerry. The two, of them have been friends for some time and are often seen at games and often work together. But how was Alex supposed to know that with Jerry’s killer costume of a baseball cap, glasses, and baggy jeans? Now that everyone has got a glimpse of the photo that revolved around the Twitter-sphere, people are laughing at the situation. After all, who pushes aside a famous person because they don’t recognize them? Hey, it can happen to the best of us. Even after all these years, Jerry remains true to his character allowing for the humiliation of the situation to come full circle. 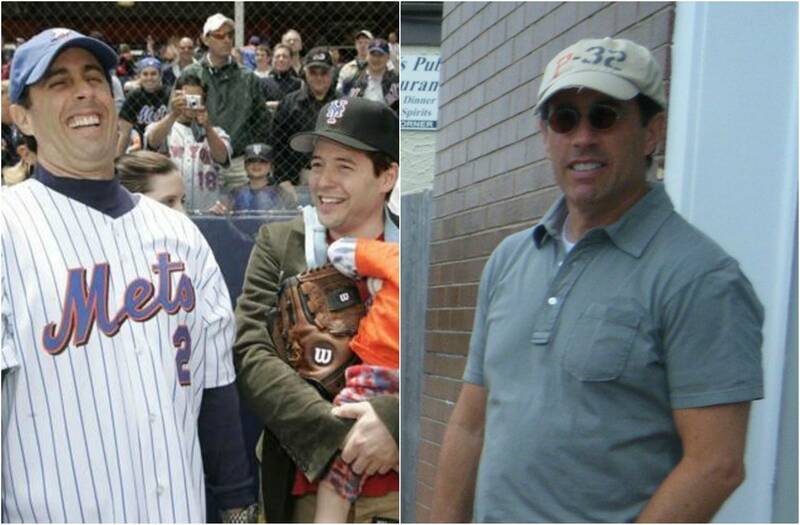 Even though, Seinfeld himself has told a number of his friends that it did happen. Staying true to himself in a poetic turn of events, Jerry decided to run with the situation. 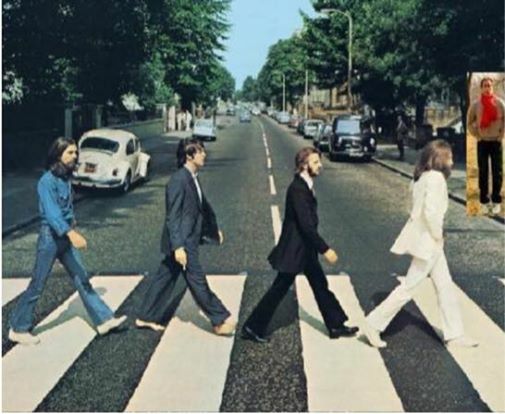 To add icing to the cake, he took to social media and uploaded a cheeky photo of the Beatle’s Abbey Road album cover with slight modifications. All in all, it turns out that the man of comedy got the last laugh.